For more information, and directions on how to apply for each award, please click on the name of the award above. Submissions are due April 10 except for the first round submissions for the Reginald E.F. Colley Memorial Trophy (February 18) and the Outstanding Senior Awards (March 4). If you have questions about the awards process, please contact awards@thetachi.org. 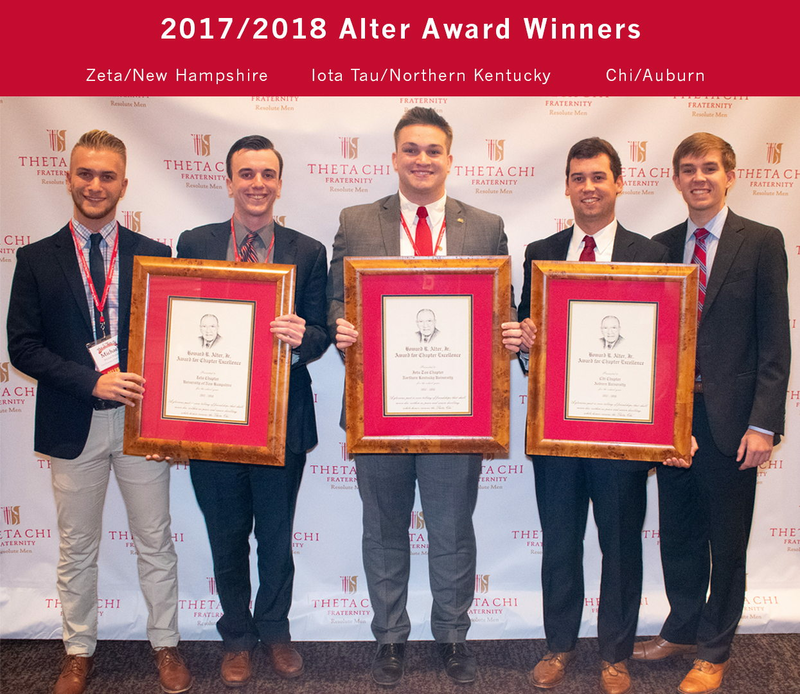 The Fraternity presents other awards for successful recruitment efforts, outstanding chapter scholarship, and fundraising and service for the USO. Be sure your chapter has properly registered all initiates, relayed recent grade reports, and reported all efforts to support the USO in order to be entered for consideration!